In the past only professionals generally had to be concerned with things like editing photos and videos, converting file formats, or even screen capture. All of these things aren’t new – but they were used on a limited basis by those who had experience (and in some cases, training) in doing so. Nowadays however things have changed. With more people able to snap photos and record videos using their digital cameras or even smartphones – dealing with multimedia is no longer something that only professionals attempt. Instead, average users are finding that they have a need to do the same to prepare their multimedia to be shared or published online. That is precisely what Movavi software caters to. In contrast with its competitors that tend to be oriented towards professional or experienced users, Movavi has carved a niche for itself by offering a much more user-friendly experience. It is designed so that it is intuitive enough that even someone with zero prior experience will be able to use it. Capturing video footage directly from your screen to create video guides or even save Skype calls or record online video streams. Editing and improving photos and videos to polish and improve their appearance. Converting multimedia files to different formats to ensure compatibility and optimize them for various platforms. Compressing video files to consume less storage space. Creating video slideshows from photos. 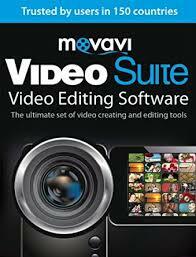 Under its banner, Movavi has numerous different software – each of which specializes in a specific area. Depending on what you intend to do with your multimedia, you should be able to find a solution that specializes in that specific task and will provide you with all the features that you need – and then some. When it comes to photo or video software, Movavi has made a name for itself because of this approach. The user-friendly nature of its software has contributed greatly to its current popularity, and the fact that it is able to couple that with such powerful features is something that most people have come to appreciate. The best way to see just how useful the software will be to achieve your own goals however is to give it a try. In the process you’ll undoubtedly see for yourself just how Movavi’s approach can make even the most complicated tasks seem easy.